Howe and Howe are the twin brothers that are responsible for some seriously badass vehicles. They mainly have built things for the government but they also make vehicles to be used to by the public. We brought you one of their latest vehicles, the Ripsaw EV2, which was a high end luxury tank that had the capabilities of hitting upwards of 60mph. You could hit hose speeds going over just about any terrain, while you ride in air conditioned comfort jamming away to your favorite tunes. Well they have released a new build they have been working on and while its still a tracked vehicle, this one is quite different. They call it the Rip Chair 3.0 and its essentially a go anywhere vehicle that’s designed for the gearheads of the world that are confined to a wheelchair. The Howe brothers originally designed the prototype of the Ripchair back when they had a show on the discovery channel and since have made significant improvements to make the it more user friendly for the public. You can get a chair fully customized with all kinds of options if that is something that you’re into. One of the things that jumped out at me is that you have the option of using your own wheelchair if needs be. Thanks to a hydraulic ramp system almost any size chair whether it be a electric power chair, or the good old manually operated ones, can be used. The ramp is lowered to the ground so the user can back in, lock the wheels in place, and just like that you now have the baddest offroad mini tank in the world at your fingertips. Powering the chair is a gas engine that provides just under 30hp which should allow you to climb up and over just about any obstacle you come across. 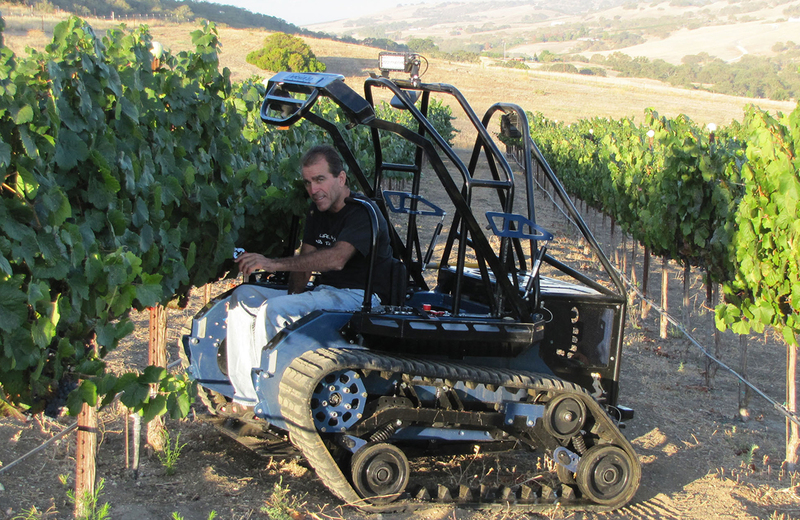 This vehicle will allow you to do some of the things that you want to do, but haven’t been able to because your wheelchair cant handle the offroad. The tubular design is intended to be lightweight, but also incredibly strong and durable. 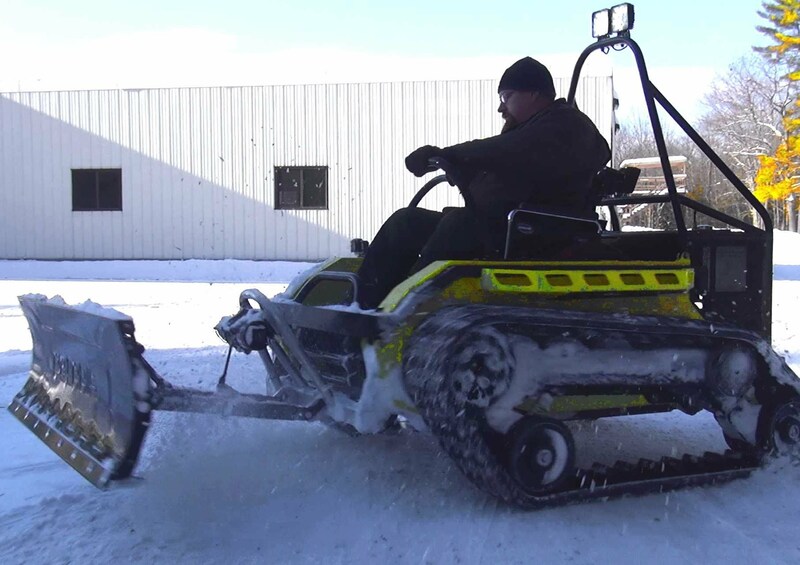 It’s the perfect little work horse, or play toy depending on what you want to do. 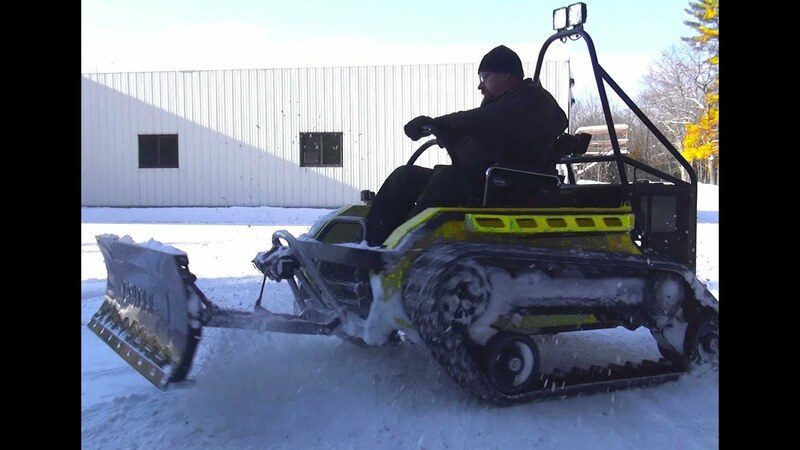 According to reports the Ripchair 3.0 has a top speed around 17mph and is designed to handle snow, marshy swamps, mud, sand and anything else you can think of. 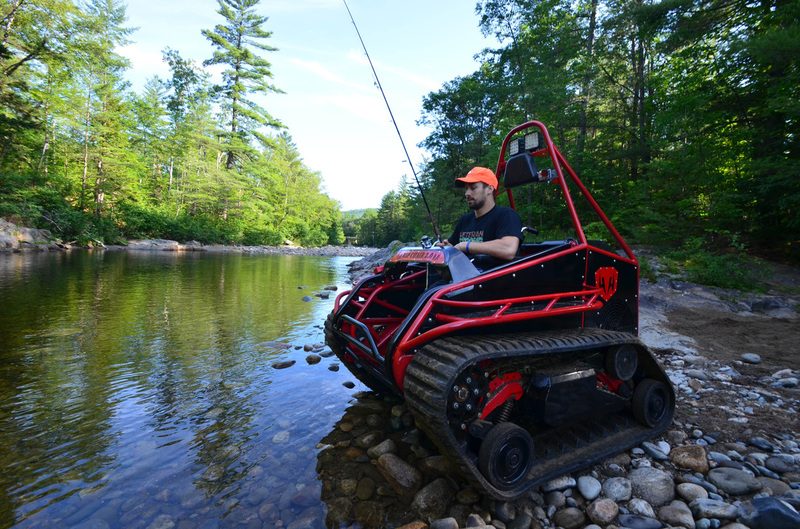 It can even tow up to 1,000lbs if you are needing to pull a tree stump, or tow a trailer around your property. Each vehicle is completely handcrafted and can take up to 8 weeks to build, depending on what additional features you choose. Quality work like this doesn’t come cheep though, pricing is estimated to range anywhere from $35,000- 40,000. To show just how strong and powerful the Ripchair 3.0 is, the guys at Howe and Howe decided to have a little tug of war. The poor machine that got paired up with this beast, a Polaris 4×4 four-wheeler or as my dad would call them “big old lumbering beasts”. As you can imagine, the quad doesn’t stand much of a chance, but just how bad the Ripchair beats it actually shocked me. The quad was literally burning rubber on all four tires and the Ripchair just stands there. There is a picture on the Howe and Howe website showing the Ripchair up against two of those big old quads, both smoking their tires trying to budge the chair.